The Eyeline ® Floating Dive Fins / Flippers are great for all ages and all levels of swimming the Floating Fins. Made of soft floatable rubber the Floating Fins will not sink in either fresh or salt water, making them ideal for open water and pool training. Brilliant for increasing leg strength and to help athletes swim at faster speeds. With the long, hydrodynamic blade, the Floating Fins add propulsion to flutter and butterfly kick. Buoyancy from the fins lifts the legs to the surface reducing drag from the rest of the body. The Floating Fins closed heel design provides protection against overflexion of the ankles and increases comfort. Floats in fresh and salt water. Keeps legs buoyant to reduce body drag. Adds extra power to kick and builds leg strength. Reduces chance of hyperflexion of the ankle. The size references to AUST, UK and USA on the sole of the fins are incorrect. My daughter find these fins really comfortable.Best price on the market plus very quick delivery. The size fits exactly, 100% rubber, meets expectations. 5 out of 5 A good buy! 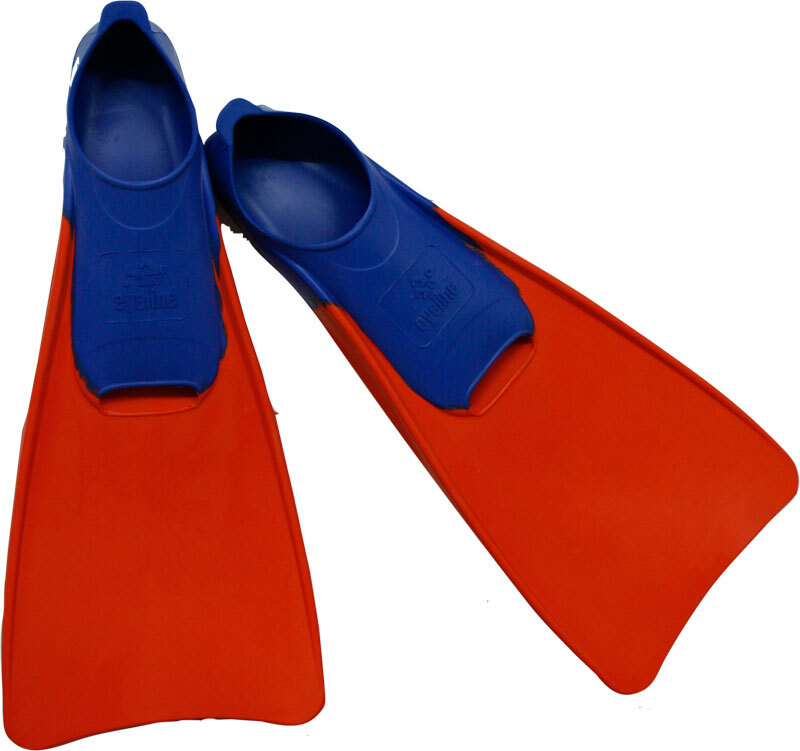 Fins are fun and do the job in pool and sea swimming, excellent value. Excellent product and speedy service. Product just as described. Would buy again from the firm and would recommend to others. These are very cost effective and perfect for swim club. They are true to size and used by both my kids. My daughter is very happy with her new fins, great quality, fit was as expected. Brilliant value. Fantastic service from Newitts.com would highly recommend. Really great product. Comfortable and easy to get on and off. Amazing price For the quality. Great that they float and don't sink! I love these fins. I first came across them on Eyeline's Australian website, which has an excellent guide providing information about the length and width of the foot pockets as well as Australian, European and UK sizing so it's possible to check whether fins are true to size before purchasing them online. I wanted to order a pair, but the shipping cost would have been prohibitive. I am delighted that they are now available from Newitts at such a reasonable price. My fins are sized 11-13 with a pocket 27 cm long and 10.5 cm wide, which is roomy enough to accommodate my entire foot without my toes protruding through the toe opening. Fins with shorter foot pockets may still be the correct foot size, but toes protruding through the toe opening will either rub against the top of the pocket or put a strain on the sides of the toe opening causing it to tear after heavy use. The generous foot pockets on the Eyeline fins prevent either event happening. They are among the most comfortable fins I have ever worn and the insides of the foot pockets are smooth and free from burrs. The fins are made from natural rubber, the best fin material in the world, with a softer blend for the foot pockets and a harder one for the blades. The quality of the material is such that the fins can be worn for extended periods without abrasion or cramping. They can be donned and doffed easily in or out of the water with the aid of the tab at the back of the heel. I love the contrasting orange and blue dual colouring, which makes the fins both attractive and highly visible for safety purposes. I have snorkelled with the fins in the North Sea and I can vouch for the comfort, power, manoeuvrability and endurance they give when swimming on open water. These fins have a deserved popularity in Australia, where they are commonly seen in the pool and on the beach. I am now considering getting an additional, larger-sized, pair so that I can wear them over thicker footwear in colder weather. Thanks again, Newitts, for making these Australian-marketed fins available for purchase here in the UK too.